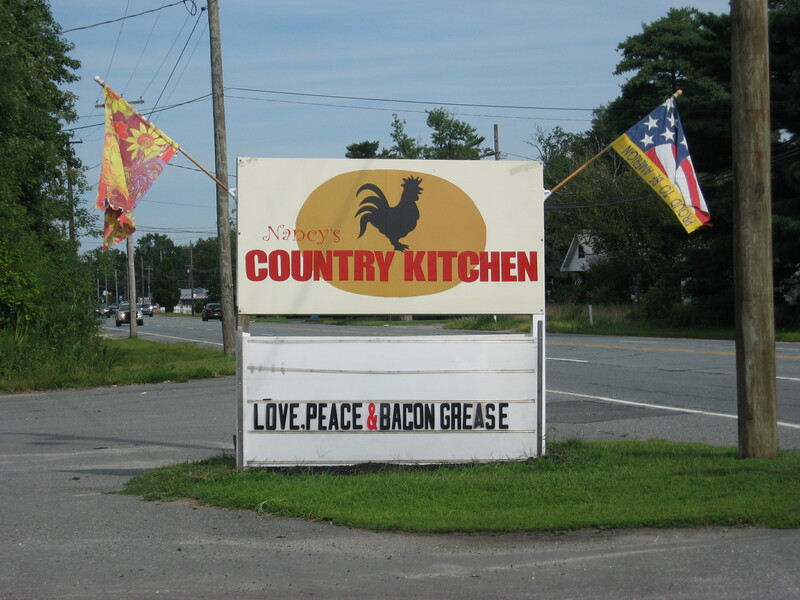 On his way to the beach this summer The Curmudgeon passed this great roadside sign outside Nancy’s Country Kitchen in Egg Harbor City, New Jersey. It’s on southbound Rt. 30, about two-thirds of the way between Philadelphia and Atlantic City.